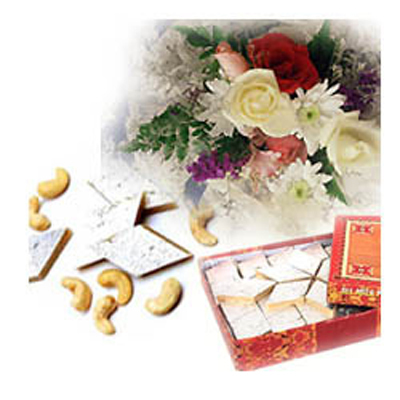 Elegance of Red Roses and traditional delicious taste of Kaju Katli. 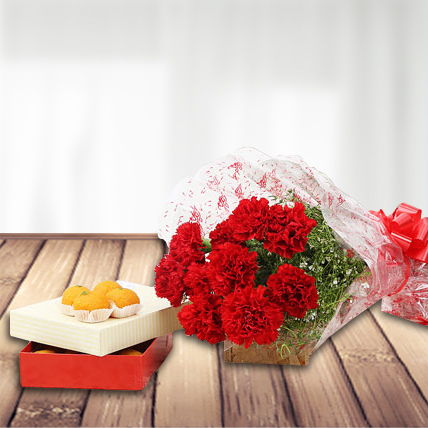 Perfect way to express your love n regards. 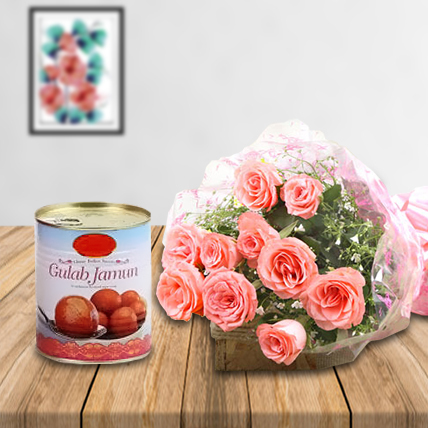 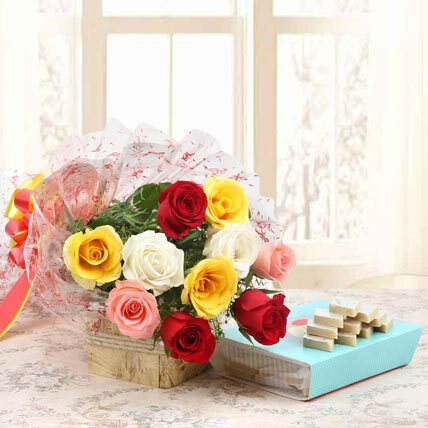 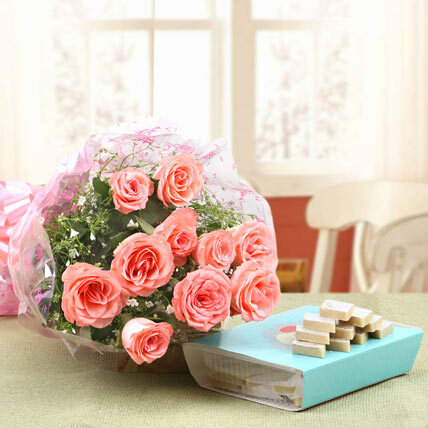 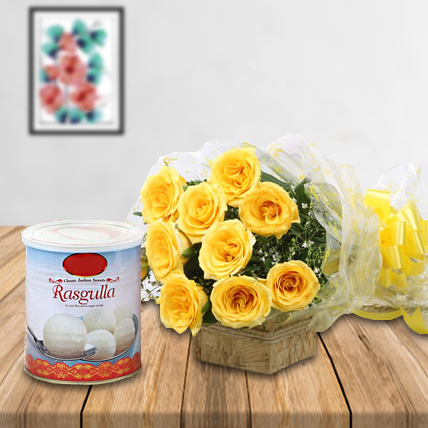 Bunch of 12 mix color flowers (roses, carnations, gerbera) with seasonal fillers wrapped in cellophane with a ribbon bow and 500 gms Kaju Katli.